The high risk involved with being an electrician requires you to be prepared for encountering any number of potentially dangerous circumstances. Because electrical work comes with a significant amount of risk, like working with high-voltage wires and combustible materials, it's in your best interest to invest in electrician insurance. In Orlando, FL, and the nearby areas, we offer coverage that keeps you and everyone involved with your business completely protected against the possibility of financial trouble resulting from accidents on the job. Alliance & Associates guards your company's assets in the event that an accident resulting in property damage physical injury should occur. Working with active circuits, specialized tools and equipment, and live wires exposes you to a unique set of risks that are exclusive to your industry. Our insurance plans help you to prepare for any potential risks and include coverage for both product liability and personal injury. All of our commercial roofer insurance coverage plans are customized to benefit your company and help you achieve your future business goals. With the ability to pay off your policy over time through flexible payment plans, you'll have the opportunity to keep your initial payments low and manageable for your budget. As a roofing contractor, it's necessary for you to protect the interests and safety of your clients and employees. The only effective way to do so is through the investment of a roofing contractor insurance plan that guarantees the complete coverage of your assets. Our business insurance agents work with you to create a personalized policy that meets all of the unique needs and challenges provided by your business. Request a free insurance quote to determine the best option for your roof contracting needs, and we'll be glad to discuss the possibilities available for your business. From liability concerning property damage to the loss of important business records and protection against legal claims, our electrical contractor insurance offers you comprehensive solutions for your business. With some of the most cost-effective rates available in the industry, we give you the coverage you need at a price that doesn't break the bank. 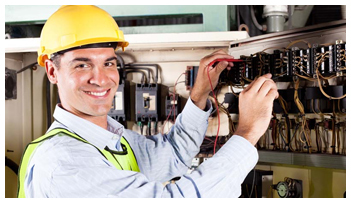 Contact our staff to learn more about our electrician insurance. We serve clients in Orlando, Kissimmee, Winter Park, Apopka, and Sanford, Florida, and the surrounding areas.